Put your brains to the test with these word search puzzles! If you're a pencil puzzler and think you know all there is to know about George Lucas, computer programming, and Bilbo Baggins, think again. 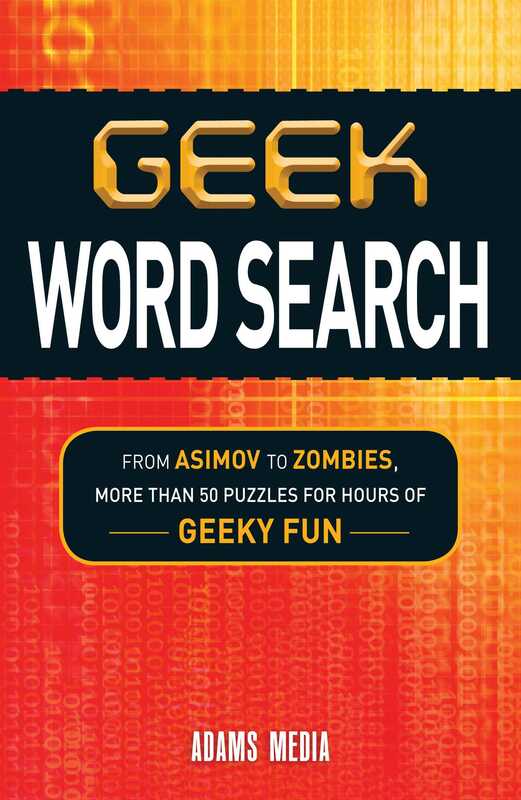 Filled with fun and challenging word searches, this book tests your knowledge of all things geek from the latest in technology to the most iconic nerds. Each puzzle will keep you busy for hours as you look for everything from square roots and expansion packs to geothermal power and cosplay. With more than fifty word searches that are sure to try your skills, this puzzle collection will separate the n00bs from the real deal!